UK agent and supplier Berkmann Wine Cellars (BWC) is looking to shake up its fine wine image among both the on-trade and private clients. The company recently brought on Guillem Kerambrun (pictured) as its new director of fine wine – private sales. 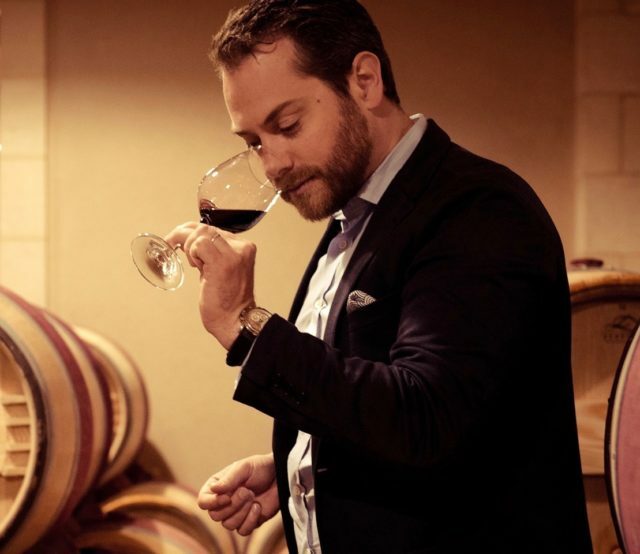 Formerly working at Caprice Holdings as group wine buyer and before that at the Alain Ducasse chain, Kerambrun told the drinks business he intended to bring his experience as a sommelier to his new role working with private clients. As he explained: “It’s a service and, like in the on-trade, it’s about customer satisfaction and experience,” and BWC’s national distribution network thanks to its on-trade focus will be a great help in this, allowing for speedy deliveries and ensuring clients are based around the country and are not just London-centric. He added that Rupert Berkmann had also wanted someone with a sommelier background because the sommelier approach to customer relationships was so important to private sales as well, someone who has a feel for a customer’s likes and dislikes. Primeurs aren’t new to Berkmann, it runs a Burgundy futures campaign already but Kerambrun added he was keen to source fine wines “from all over”. Classic European and US wines are of course going to take centre stage but he said he had his eye on wines from Argentina, Greece (BWC will soon be offering the wines of T-Oinos) and even Japan and China. Away from private sales, Kerambrun is keeping his toe very lightly dipped in the waters of the on-trade. He said that scouring the BWC lists and cellars when he came on board he found little clutches of bottles, mostly of Burgundy, which had been largely forgotten about. Of the top 10 domaines in Burgundy (aside from Domaine de la Romanée-Conti and Leroy) he reckoned they had at least some stock. This was going to be offered to high profile on-trade accounts to help make buyers in those places aware that BWC has access to wines of that calibre. “Most somms will never have realised that BWC has those sort of wines,” said Kerambrun who added that in all the years he worked for Ducasse and Caprice he hadn’t known either because BWC wasn’t seen as a supplier of ‘tier 1’ fine wine.